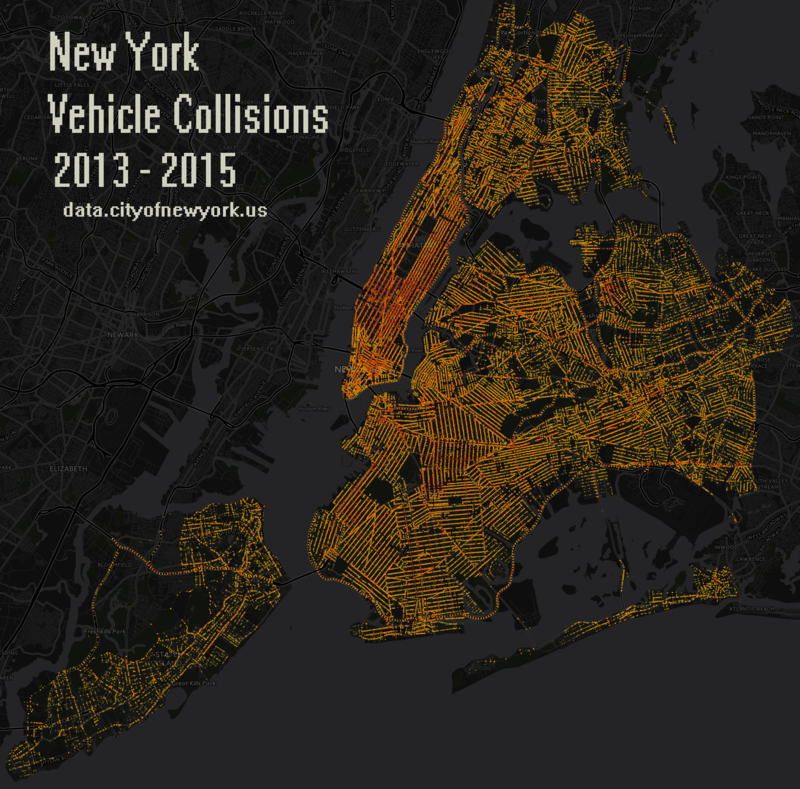 A geo-temporal map created from NYPD car crash data. Date range used: 2013-11 through 2015-11. This entry was posted in DataViz on 11/27/2015 by MantasCode.